More than 120,000 people fled Vietnam after the North Vietnamese captured Saigon on April 30, 1975. This chaotic evacuation has been captured in iconic photos, documentary films and oral histories. How did the Vietnamese seeking safety actually get from small boats or rooftop helicopters to the United States? First, they went to Guam. In response to the emergency, the U.S. military established a refugee camp on this small island in the Pacific. On Guam, the U.S. government planned to assess the crisis and process individuals while preparing camps on the mainland for the incoming Vietnamese. However, approximately 1,500 Vietnamese had another idea – refusing resettlement in the U.S. and returning home. 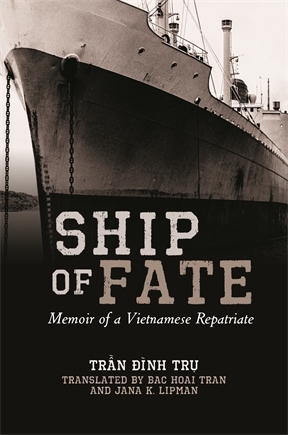 I first learned of these events when I discovered images of the repatriates in the U.S. National Archives and found “Ship of Fate,” the memoir of a South Vietnamese naval officer, Tran Dinh Tru. His story and that of other repatriates shows the real risks of repatriation if there are no guarantees of protection. This is an important lesson today given the U.S. government’s current steps to make it harder for refugees to enter the country. Tru was a respected career South Vietnamese naval officer. In the chaos of April 1975, Tru evacuated with other naval officers, and he organized for a ship to save his wife, who was stranded far outside Saigon. However, the ship failed to rescue his wife. Like many family members across South Vietnam, she was left behind with their three children to navigate the new political landscape. Waiting on Guam alone, Tru despaired that he would never see his family again. Tru was one of more than 1,500 Vietnamese on Guam who did not want to resettle in America. They called themselves the repatriates, and they wanted to return to Vietnam for a range of reasons. Many were young South Vietnamese sailors who were aboard South Vietnamese ships as the North Vietnamese advanced on Saigon, and their captains had directed the ships out to sea and never returned to port. These young men did not see themselves as refugees. In other cases, older men and women decided they did not have the stamina to start again in America. Others, like Tru, had family members who had missed connections, and they faced indefinite separation. The repatriates turned to the United Nations High Commissioner for Refugees (UNHCR), the U.S. government and the Guamanian public to make the case that they should be allowed to return to Vietnam. 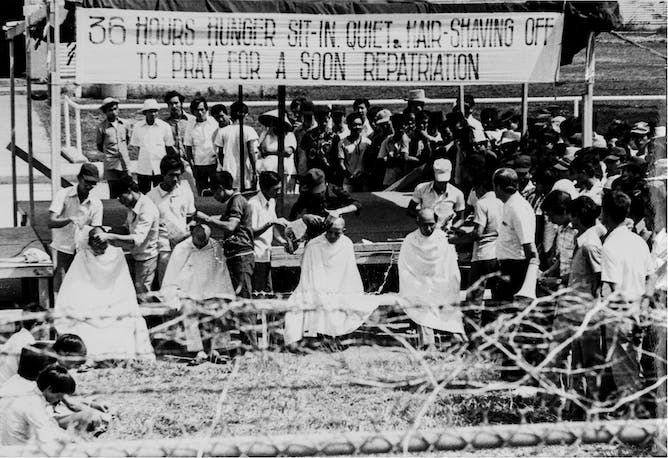 They wrote letters to the Guam newspaper and built massive billboards within the camp demanding their return. The UNHCR and the U.S. could not guarantee their safety on return, and so they made no plans for their repatriation. Frustrated with the lack of action, many of the repatriates escalated their protests. The repatriates built a makeshift stage. Men shaved their heads in front of a banner that proclaimed boldly in English, “Thirty-Six Hours, Hunger Sit-In, Quiet, Hair Shaving Off, To Pray for a Soon Repatriation.” The repatriates also organized hunger strikes, militant marches through the streets of Guam and eventually set fire to buildings in the refugee camp. This was a situation no one had anticipated. The repatriates did not want to go to the United States, the Guamanian government did not want them to stay on Guam and the U.S. government did not know what to do. Notably, the new Vietnamese government did not want them back. 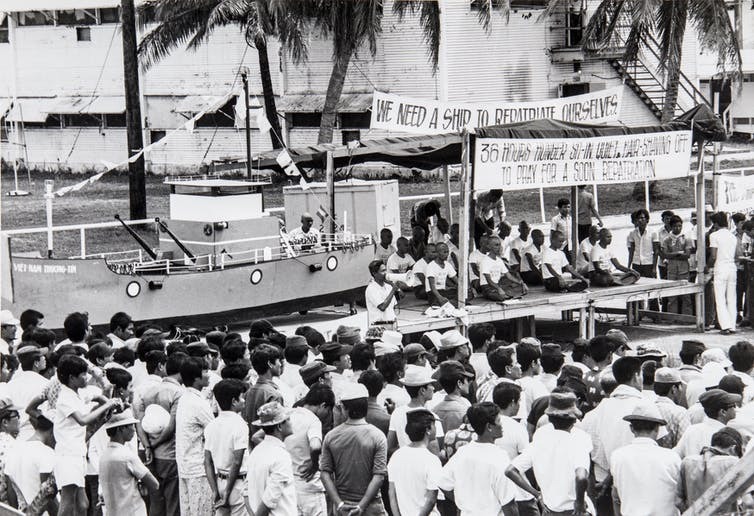 In the end, the U.S. government granted the Vietnamese a commercial ship, the Viet Nam Thuong Tin, to return home. Tru agreed to be the captain due to his experience and skill. The Vietnamese repatriates knew the communist government saw them as hostile interlopers, traitors and possible CIA plants, but they still felt strongly that they must return. The voyage took roughly two weeks, and the atmosphere on the ship was tense and cautious. When the ship arrived in Vung Tau, a southern Vietnamese port, the Vietnamese government saw Tru as suspect and counterrevolutionary. They ignored his repeated wishes to reunite with his family, and the government imprisoned Tru in its network of “reeducation camps,” where he suffered for 13 years. These camps punished South Vietnamese men who had fought against North Vietnam and allied themselves with South Vietnam and the United States. They combined prison labor and forced ideological training. They were marked by hunger, indefinite detention, and ongoing physical and psychological hardship. My research into the limited reports of these events shows that the repatriates’ sentences ranged from months to many years. As captain, Tru suffered their arbitrary brutality the longest. Tru eventually resettled in the United States with his family in 1991. It’s worth noting that Tru’s long voyage is unusual. Most of the more than 120,000 Vietnamese who fled Vietnam sought and soon gained resettlement in the United States. President Gerald Ford’s administration allowed them to enter as “parolees” – a loophole in U.S. immigration policy, which did not make provisions for refugees at that time. However, by the time Tru was released and decided to immigrate to the United States, he was able to do so through the U.S. Humanitarian Operation program. The U.S. government designed this program for South Vietnamese officers and reeducation camp survivors in the late 1980s, and it expedited immigration processes for this population who had suffered directly because of their affiliations with the United States. The U.S. accepted over 70,000 Vietnamese who had been imprisoned in Vietnam. 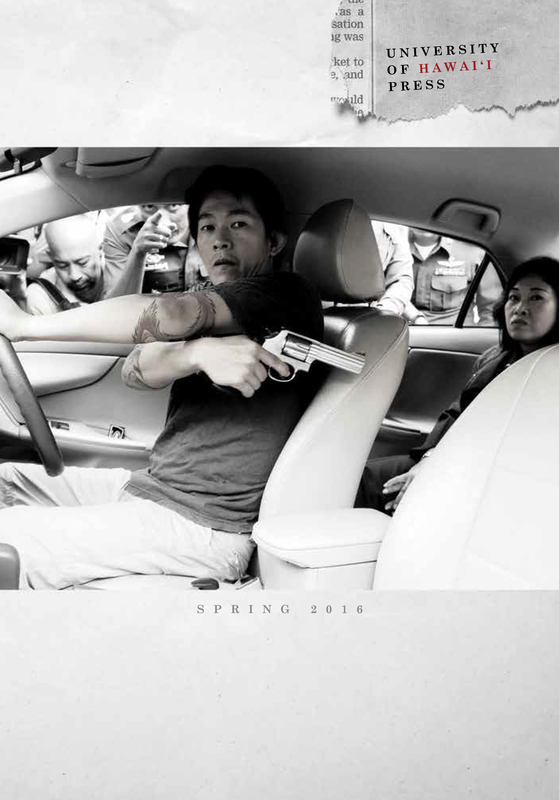 In my view, the Vietnamese repatriates’ story challenges us to recognize the risks and fears individuals face in moments of crisis, and ponder the difficult decisions that must be made at the end of a war. When it comes to listing events, we can’t miss first mentioning our exhibit booth at the Association for Asian Studies annual conference taking place March 16–19 in Toronto. Acquisitions editors Pamela Kelley and Stephanie Chun, and marketing managers Royden Muranaka and Steven Hirashima make up our staffing contingent at this important meeting, which is attended by numerous UHP authors (and prospective authors) of Asian studies titles. Below is the current lineup of author appearances scheduled for the coming weeks—including a couple already past—mostly for our Hawai‘i-related titles. Unless otherwise noted, these events are free and the public is invited to attend; books will be available for sale and signing. 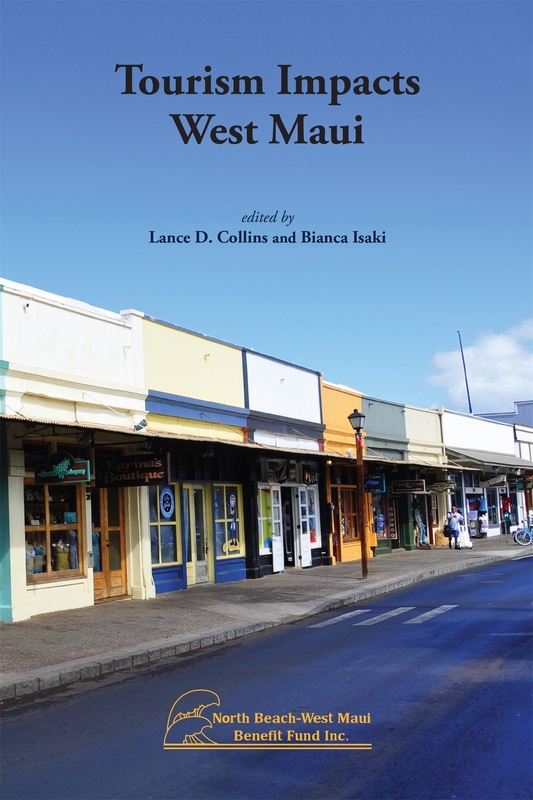 Chapter contributors Jonathan Dial, Bianca Isaki, and Brian Richardson will speak on the issues addressed in Tourism Impacts West Maui, the latest book from North Beach-West Maui Benefit Fund Inc., distributed by UH Press. Former investigative reporter Jim Dooley will give an illustrated talk about the lively behind-the-headlines stories in his book, Sunny Skies, Shady Characters. See more details on the Hawaiʻi State Public Library System site. Hawai‘i’s Kōlea coauthors Oscar “Wally” Johnson and Susan Scott will give a slideshow presentation on the amazing migratory bird at the Volcano Art Center Niaulani campus. While the event is free, a $5 donation would be appreciated. See more details on the VAC website. Wally leaves the next day to return to Montana, while Susan will stay on to do a signing on Saturday at Basically Books, before heading home to O‘ahu. 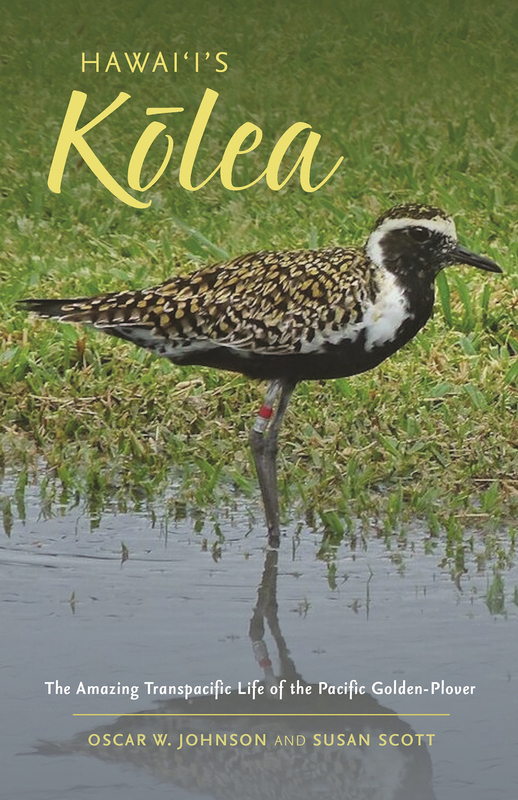 Susan Scott will sign copies of Hawai‘i’s Kōlea: The Amazing Transpacific Life of the Pacific Golden-Plover, as well as her sailing memoir, Call Me Captain. For future events with Susan, check out her website. 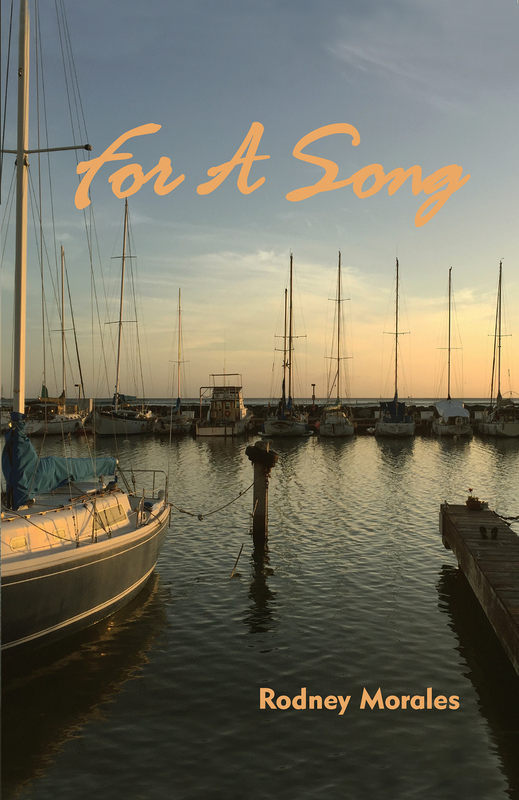 UH Mānoa creative writing professor Rodney Morales heads to the Deep South to do a reading of his latest novel, For A Song. His visit is hosted by the University of Georgia Creative Writing Program and books will be sold by Avid Bookshop. • 9:00 am to 12 noon, Parker Ranch Store, 67-1185 Mamalahoa Hwy., Kamuela (phone 808-885-5669). • 1:00 to 2:45 pm, Basically Books, 160 Kamehameha Avenue, Hilo (phone 808-961-0144). Includes a short talk. • 3:00 to 4:30 pm, Lyman Museum, 276 Haili Street, Hilo (phone 808-935-5021). The authors will do a talk as part of the museum’s Patricia E. Saigo series of public programs. The cost is free for museum members and $3.00 for nonmembers. Read more on the event here. Wednesday, March 29, 10 to noon, at the Waimea Midweek Farmers Market , Paniolo Heritage Center at Pukalani Stables, Parker Ranch, 67-139 Pukalani Road, Kamuela (phone 808-854-1541). Drs. Bergin will be available to sign books at this outdoor market hosted by the Paniolo Preservation Society. Hawaii Japanese Center, in partnership with the Japanese Cultural Center of Hawai‘i, presents a program based around author Barbara Kawakami and her recent book, Picture Bride Stories, which was recently announced as the winner of the Asian/Pacific American Librarians (APALA) Literature Award for adult nonfiction (the award will be presented in June) . 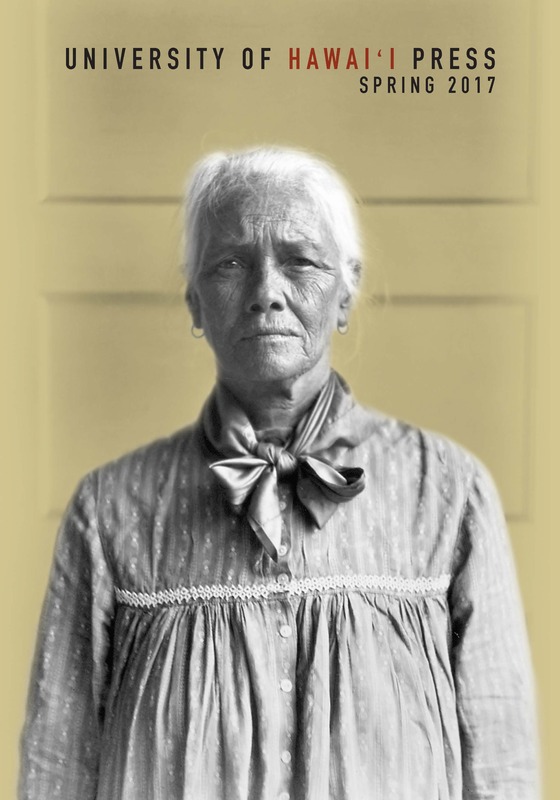 The HJC program will include a dance performance of holehole bushi and a screening of excerpts from the Rice & Roses television series that previously aired on PBS Hawai‘i. See complete details on the HJC flyer. 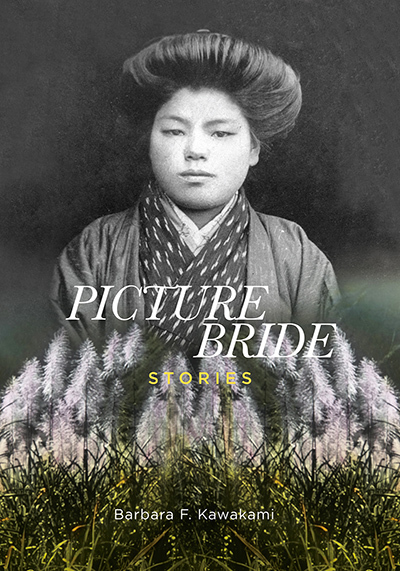 Ms. Kawakami has scheduled additional presentations on Picture Bride Stories, including one on Thursday, April 13, 12:00 to 1:45 pm, at Kaua‘i Community College’s International Education Center (Office of Continuing Education and Training Bldg., Room 106 C/D). On Saturday, April 29, she will be at Temari‘s annual “BOLTS of Fabric & Fun” sale to participate in the 11:00 am Textile Talk Stories with Ann Asakura, and will sign books before and after her presentation. The BOLTS event is being held at Japanese Cultural Center of Hawai‘i (which has its own Things Japanese annual sale the same day). At this Brown Bag series sponsored by the Center for Biographical Research, David Hanlon‘s talk, “‘You Did What, Mr. President?!? 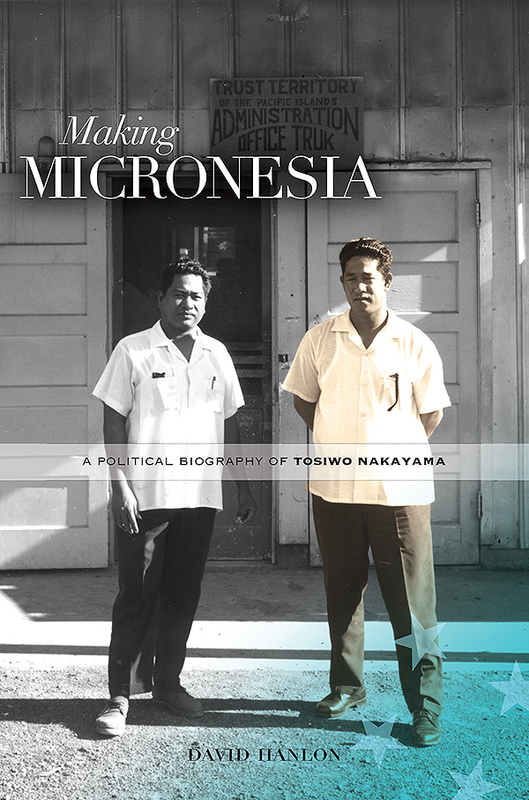 !’ Writing a Biography of the Federated States of Micronesia’s Tosiwa Nakayama” explores his work behind Making Micronesia. Copperfield’s Books will have a booth with a mini stage for its “Women Writers Talk Environment” event at the Earth Day festival in Santa Rosa. 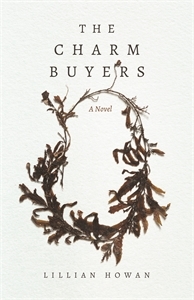 The Charm Buyers author Lillian Howan will join Rebecca Lawton, Farnaz Fatemi, and others to read, discuss, and sign books. For insight into Lillian’s writing, read the Writer in Residence interview with her on Rebecca Lawton’s blog. As always, to keep up with UHP author talks and other event news, please follow us on Facebook and Twitter. 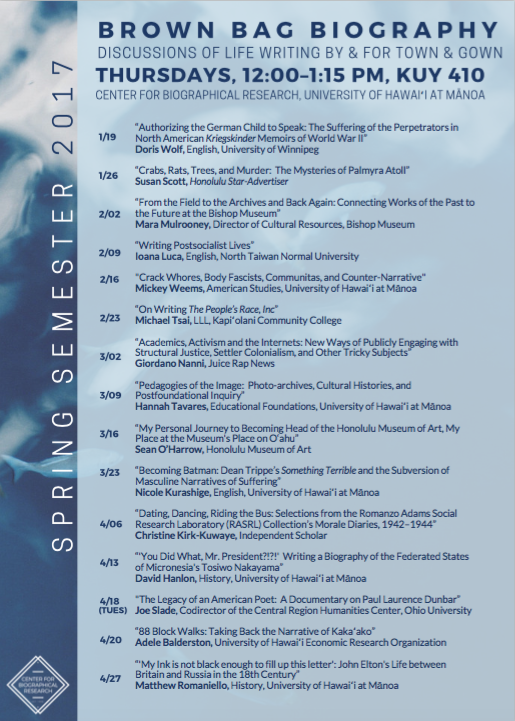 Several author appearances are scheduled for the coming months; here are the remaining ones lined up for February. These events are free and the public is invited to attend. Books will be available for sale and signing, unless otherwise noted. For event information, go to the Eastwind Books website or Facebook page. 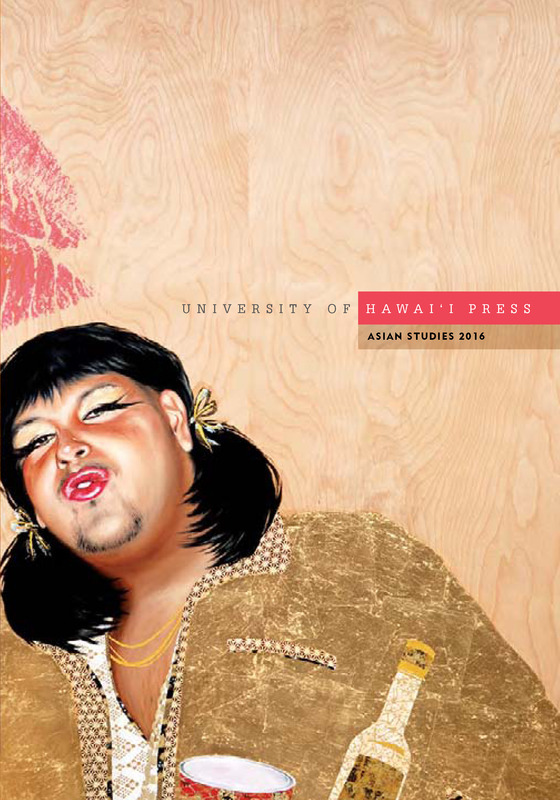 Howan also did a reading on February 15 at the University of San Francisco. See the flyer here. Fifty years ago, Suikei Furuya chronicled his World War II imprisonment and published his memoirs in Japan. 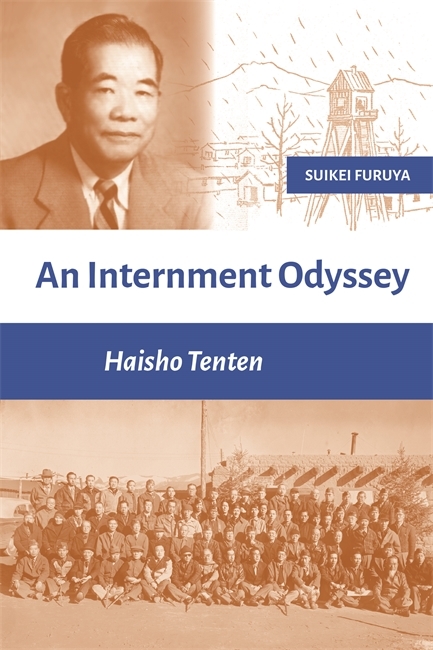 It took JCCH Resource Center volunteer Tatsumi Hayashi ten years to translate the book into English and now An Internment Odyssey: Haisho Tenten has been published by JCCH, with additional distribution by UH Press. The book launch will include a panel discussion with Tatsumi Hayashi, Sheila Chun, Brian Niiya and a member of the Furuya family. For further details, see the JCCH website. 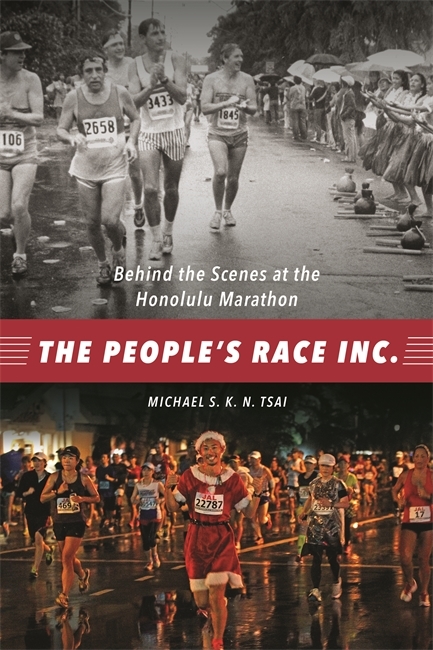 At this Brown Bag talk sponsored by the Center for Biographical Research, Michael Tsai, author of The People’s Race Inc.: Behind the Scenes at the Honolulu Marathon, discusses his melding of journalistic and life-writing approaches as well as the expected and unexpected challenges of dealing with living subjects. Tsai is a Kapi‘olani Community College instructor and Honolulu Star-Advertiser columnist and reporter. For the Spring 2017 Brown Bag schedule of speakers, click here. 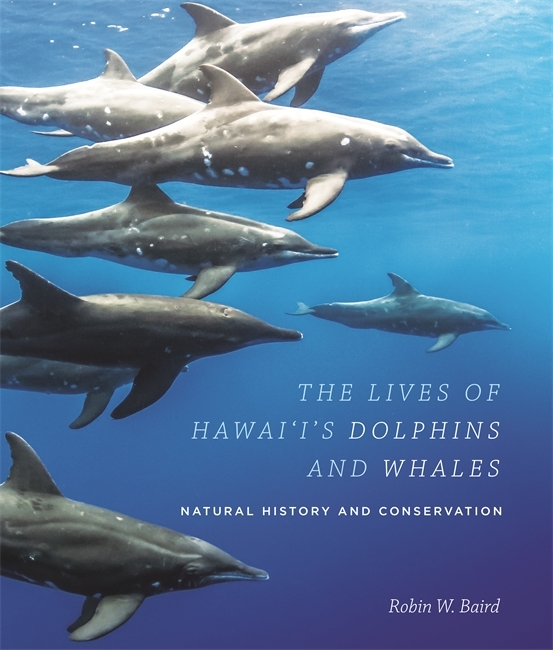 At Whales Tales 2017, presented by Whale Trust Maui, marine biologist Robin Baird speaks about his ocean fieldwork with Cascadia Research Collective and the results covered in his book, The Lives of Hawai‘i’s Dolphins and Whales: Natural History and Conservation. 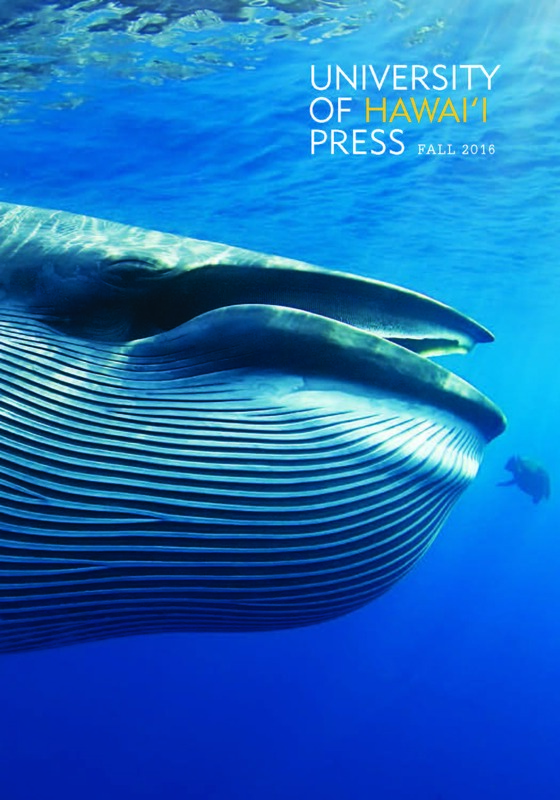 These include findings from years of research using satellite tagging, genetics, and photo identification to study resident whales and dolphins in Hawai‘i. Dr. Baird’s February 14 illustrated talk at the Waikiki Aquarium elicited numerous questions from the audience, leading to answers with more fascinating facts on these ocean mammals. To keep up with UHP author talks and other event news, please follow us on Facebook and Twitter. 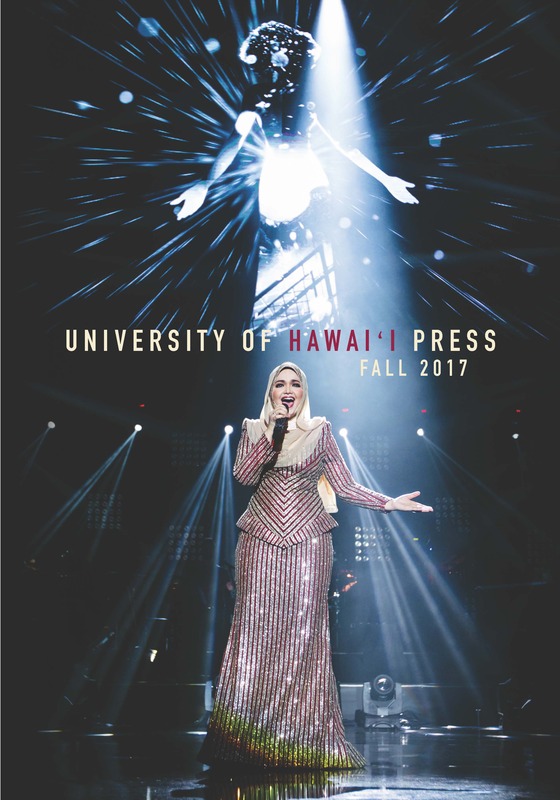 Several University of Hawai‘i Press authors will be presenting their works this month and next. These events are free and the public is invited to attend. Books will be available for sale and signing, unless otherwise noted. 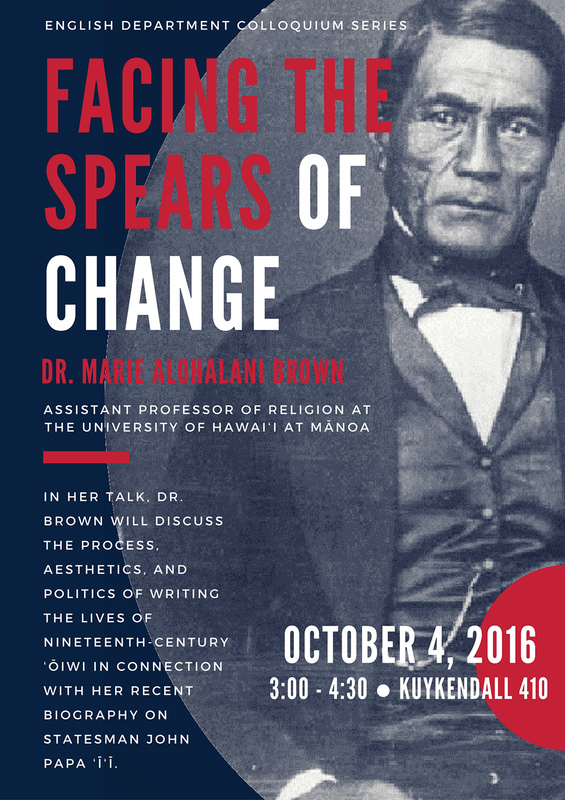 Assistant professor of religion Marie Alohalani Brown discusses life-writing and her recent book, Facing the Spears of Change: The Life and Legacy of John Papa ‘Ī‘ī. 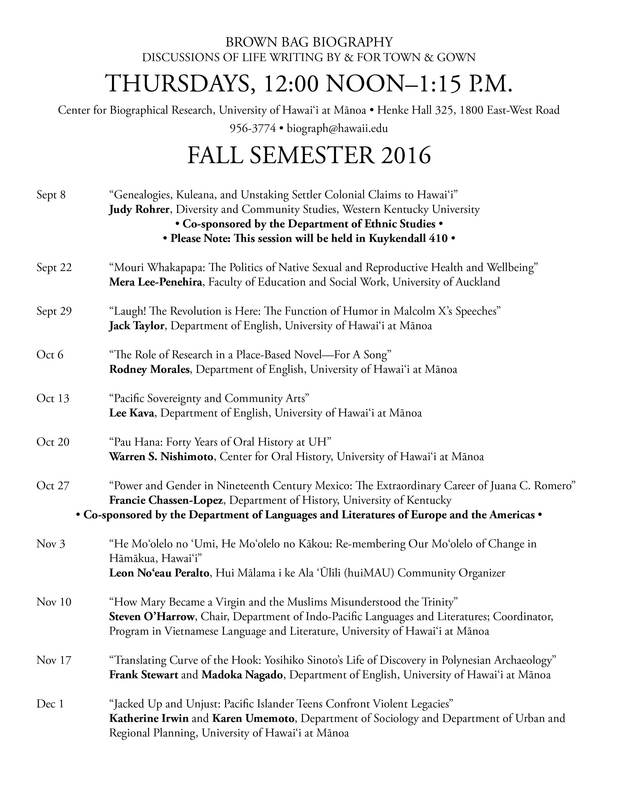 Her talk is part of the UHM English Department Colloquium series. For this First Friday event in downtown Hilo, UHM Institute for Astronomy director Günther Hasinger expands our understanding of space and time and looks at recent advances in astrophysics, as covered in his book, Astronomy’s Limitless Journey: A Guide to Understanding the Universe. 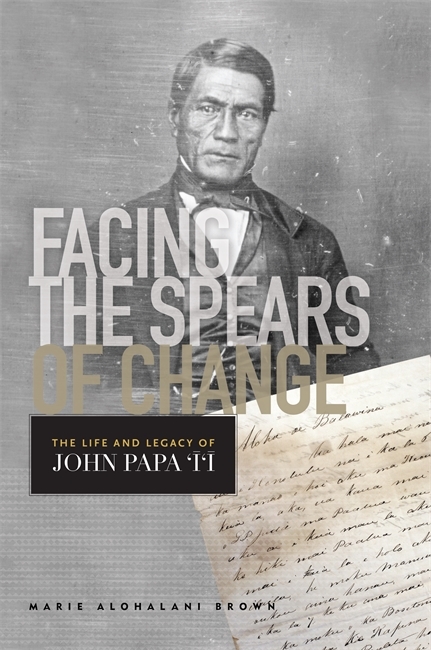 Hawaiian Historical Society hosts Marie Alohalani Brown as their program’s featured speaker to present her biography of John Papa ‘Ī‘ī, Facing the Spears of Change. Doors open at 7 pm for light refreshments and the talk follows at 7:30. The Wahiawa Historical Society honors former longtime resident Barbara Kawakami on the publication of Picture Bride Stories. Dr. Marie Alohalani Brown again shares her work and insight on Hawaiian statesman John Papa ‘Ī‘ī; this time to a downtown Honolulu audience. See more details and register on Eventbrite. Events to come in November include Rodney Morales at Native Books/Nā Mea Hawai‘i on November 5, 2:30 to 4 pm, and discussions with editors Aya Kimura and Krisnawati Suryanata, along with chapter contributors, to highlight Food and Power in Hawai‘i. A book launch for Food and Power in Hawai‘i is scheduled for November 4, 2:30 to 4:00 pm at UHM Saunders Hall 443. Check our Facebook page for updates. 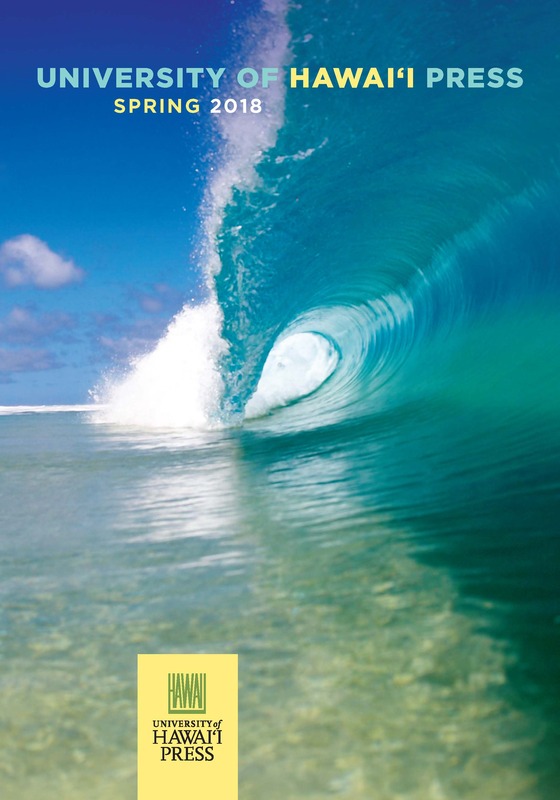 A Latitude 20 Book | August 2015 | 248 pages | 20 b&w illlus. 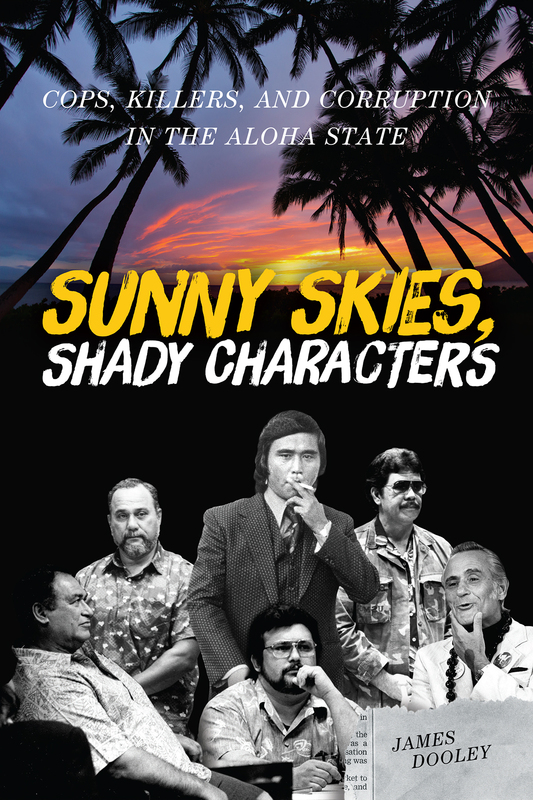 Veteran investigative reporter James Dooley revisits highlights of his journalistic career in Sunny Skies, Shady Characters, revealing entertaining backstories on how he chased high-profile scandals of crime and corruption from the 1970s into the 2000s. In the process, he provides an insider’s look at the business of journalism and the craft of investigative reporting. For a glimpse at the people and cases he covers, take a look at the book’s index here. • Author James Dooley will give a Center for Biographical Research brown bag talk on Thursday, September 3, noon to 1:15 p.m., in UHM Henke Hall 325. • Join us for HONOLULU Magazine‘s downtown pau hana talk and book signing on Wednesday, September 16, from 5 to 7 p.m., at the Hukilau restaurant (1088 Bishop Street). Click here for the e-invite. 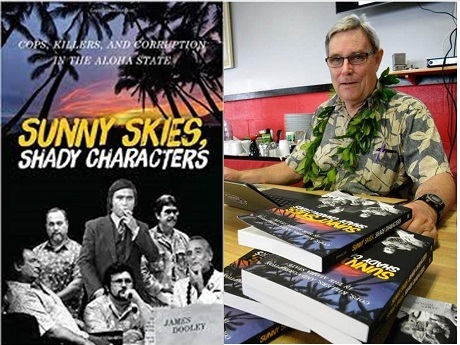 • On Saturday, October 3, starting at 12 noon, Dooley will sign at Barnes & Noble, Ala Moana Center, following an appearance at the Perry and Price Saturday Morning Show broadcast live from Jade Dynasty restaurant, also at Ala Moana Center. 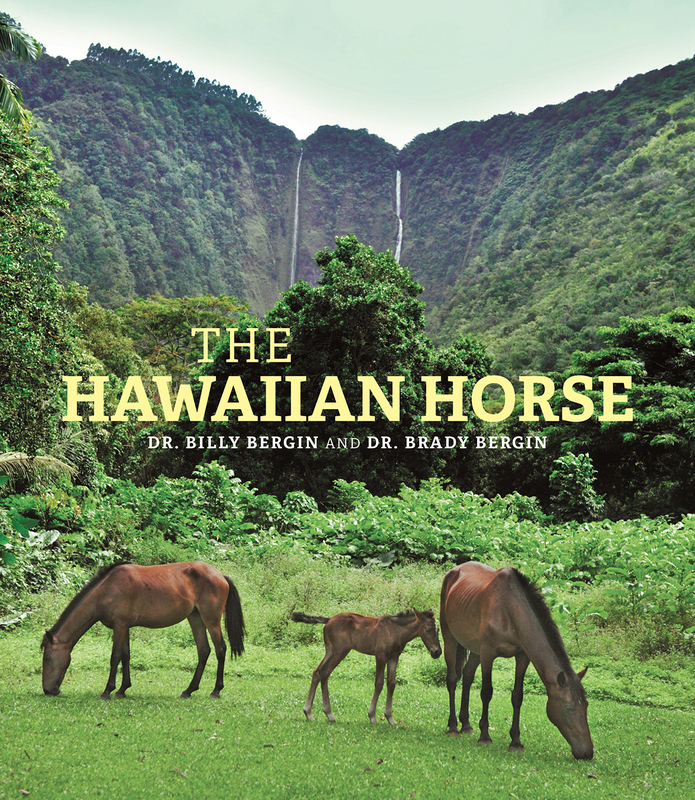 • Head over to the windward side of O‘ahu on Saturday, October 10, noon to 1 p.m., for a signing at BookEnds in Kailua (Kailua Shopping Center, 600 Kailua Road). • Dooley joins two other authors (Kusuma Cooray and Leslie Hayashi) at the UH Manoa Bookstore‘s Preview Night, Thursday, November 19, 5 to 7 p.m.
• UH Press is partnering with University of Hawai‘i at Manoa’s Hamilton Library in hosting a new lecture series, Laha Mau Book Talks. Jim Dooley will present the second in the series on Thursday, December 9, starting at 4 p.m. in room 301. For further details, please check back on this post or contact Carol Abe in the UH Press marketing department. • Political analyst Dan Boylan gives high praise to the book in his October 7 MidWeek column. See page 10 of the print replica edition. • On Thursday, October 8, Jim Dooley was on HPR2’s “Town Square” guest-hosted by Neal Milner. The show aired live at 5 p.m. HST and is now archived for later listening. • Click the highlighted text to listen to the interview by Chris Vandercook on the August 25 “The Conversation” show on HPR2 and the hourlong discussion on the August 23 Carroll Cox radio show. Drop by our booth for a great discount on some of our most popular titles! Sameer Pandya will be a presenter at the Santa Barbara Writers Conference on Monday, June 8. For more info, click here.